Moeritherium prehistoric mammals. 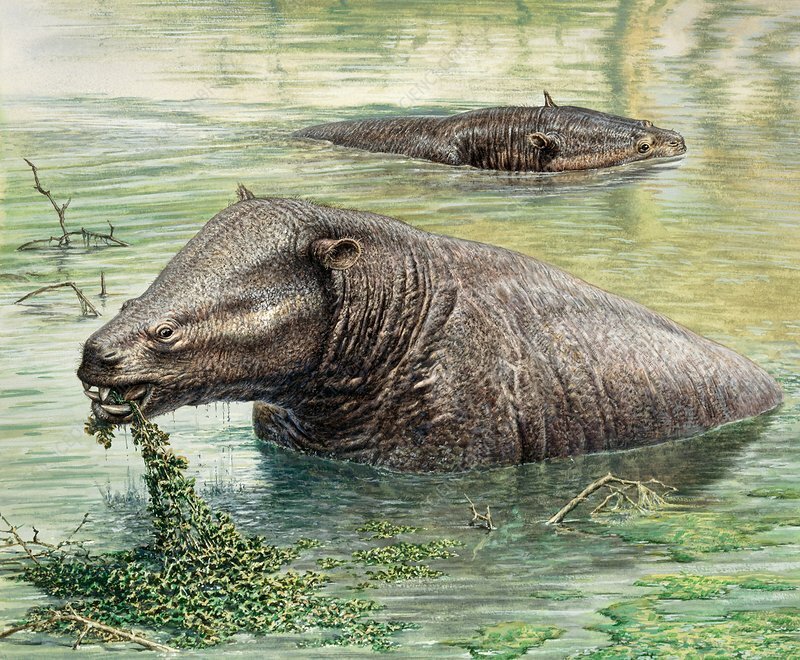 Computer illustration of proboscideans of the genus Moeritherium, wallowing in a swamp around 36 million years ago during the Eocene epoch, in what is now North Africa. Resembling modern tapirs or pygmy hippopotamuses, Moeritherium are in fact related to elephants. They stood about 80 centimetres at the shoulder, and were about 3 metres long. Dwelling in swamps and rivers and feeding on soft vegetation, it is believed these mammals occupied an ecological niche that was subsequently filled by hippopotamuses.